Finder Compass mod is now updated to Minecraft . Finder Compass is a tiny yet useful piece of modification which gives you two types of compasses for finding Diamonds and Dungeons. Finder compass is indeed an alternative to X-Ray mod but it doesn’t ruin the fun. And makes diamond finding more fun and adventurous. 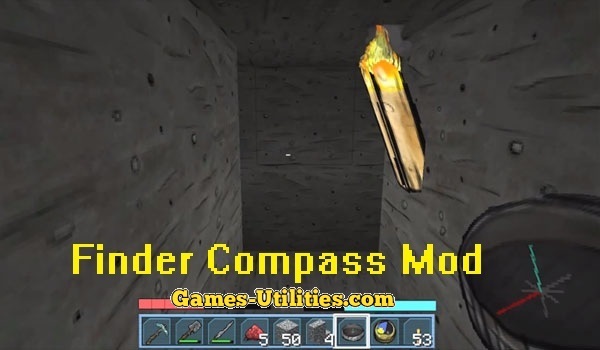 Description: Mod that adds working compass in your Minecraft inventory. – Then, download the mod file from the link above. – Go to Start Menu > Run > Type %appdata%/.minecraft/mods and hit eneter. – Start Minecraft and go to menu, select Finder Compass mod. • Ender Needle will not work in MCPatcher version since its client-sided only. However, you can still install FML version for that. • You can edit/adjust configuration file according to your needs. • This mod supports OptiFine HD.